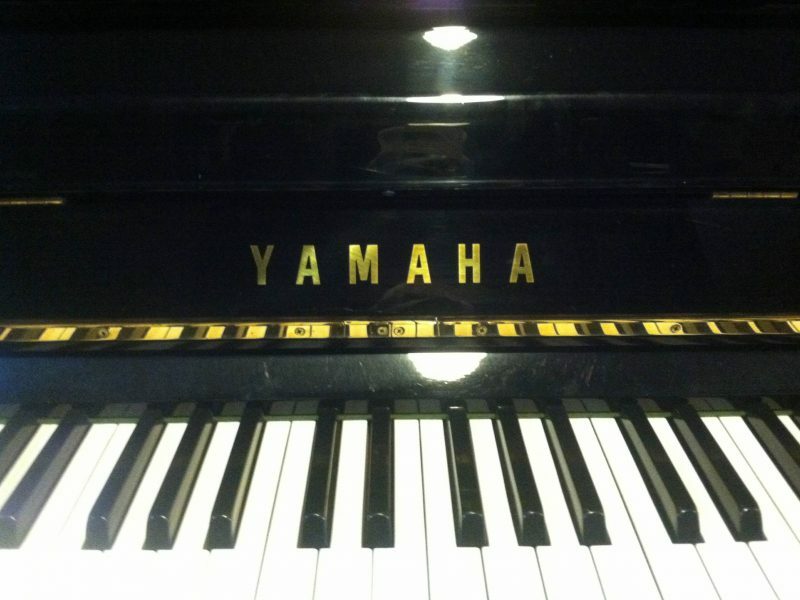 Our policy on sales of used Yamaha pianos is different than the rest of our inventory. 1. Most importantly, every used Yamaha we offer is guaranteed to be in A+ condition. That means the piano is in new condition throughout. We rate our pianos on 5 categories: Soundboard, strings, action, keys and cabinet. We only resell Yamahas with an A+ rating in all 5 categories. 2. The piano pictured is not the piano we are offering. We do this because the Yamahas we offer, all look identical. You can actually go shopping for a brand new one, then look at one of ours and you will not be able to tell the difference by looking. This is not an exaggeration. Because of this, it makes it unnecessary to take individual pictures of them. 3. We stock the the ones built between 1970 and 1975. We only stock instruments from these years, because they are best sounding ones. Prior to 1970, they are lacking in even tonal quality. Post 1975 they tend to get louder and harsher. If you are using the piano for a school or commercial environment, where you need the piano to be louder, then post 1975 is better for you. If you are using the piano in your home or studio, the instruments from ’70 to ’75 are sweeter and smoother sounding than any other year of manufacture. 4. If you are interested in a U1 or U3 from a different year, that can absolutely be arranged. Just tell us the year you want and we will find it. 5. We recommend that you come in to see, play and hear these pianos. Like all instruments, each one is slightly different from the next. These subtle differences are important to many people, especially if you are a professional or just a hobbyist who is particular about the exact tone you want from your piano. If you choose not to come in, and purchase it on line, we guarantee the piano arrives at you home in A+ condition. 6. All our pianos include a 10 year warranty on all parts and labor, matching bench, 1 on site tuning, delivery, (out of NJ delivery charges may apply, but are reasonable and are given on an individual basis) We also include full trade in value indefinitely. This means that we will give you the exact amount that you paid for your piano, back, toward the purchase of another piano. There is no time limit on this. If you trade up to a more expensive grand piano, in the future, this is a great value.